Architectural Column Covers - A. L. Harding & Co. 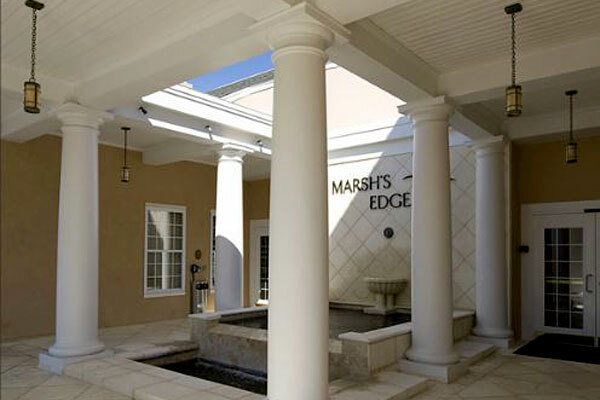 Architectural Column Covers are designed to surround and conceal otherwise unattractive structural supports creating aesthetically appealing focal points. Available in virtually unlimited sizes, shapes, materials, and finishes, architectural column covers allow architects to accommodate any style such as modern, art deco, renaissance, and classical. 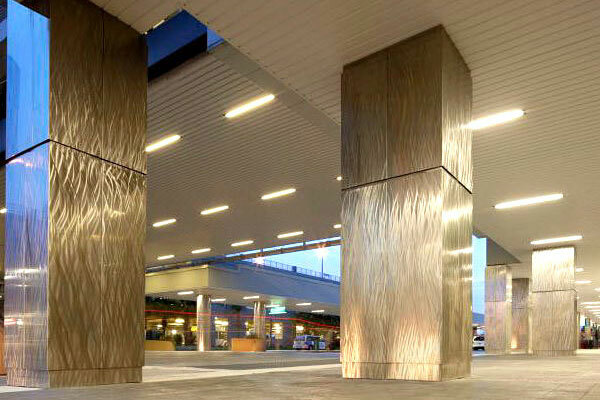 Modern fabrication methods include various metal finishes such as mirror polished stainless steel, textured metals, laminate clad and painted finishes as well as precast composites such as GRG, (Glass Fiber Reinforced Gypsum), GFRC, (Glass Fiber Reinforced Concrete), IMS, (Interior Molded Stone), and FRP, (Glass Fiber Reinforced Polyester Resin). Architectural column covers are available for both interior and exterior applications, and are low maintenance and highly durable. Available In Metal or Fiberglass Reinforced Composites. Wide Variety of Sizes, Shapes, and Finishes. Unlimited Creativity With Standard and Custom Designs. Available in virtually unlimited shapes, sizes, and finishes, architectural column covers allow architects to accommodate any style such as modern, art deco, renaissance, and classical. Architectural column cover manufacturers take advantage of today's modern fabrication techniques to economically create any architectural style as well as highly detailed custom designs with the highest quality and detail. 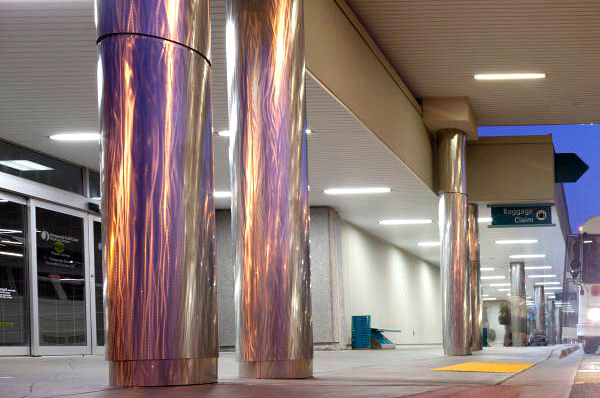 Made from durable and environmentally friendly metals and composites, architectural column covers are built to last with very little maintenance. From creating sleek modern designs, to replicating old world styles, architectural column covers offer versatility, durability, and ease of installation. Why should I choose Architectural Column Covers from Pittcon Industries and Plasterform? Since the 1940's Pittcon Industries has been a leading manufacturer of custom architectural metal Products. Pittcon Industries manufactures a wide variety of interior and exterior products to include column covers, wall panels, vaulted ceilings, light coves, crown, and soffit moldings. Pittcon Industires manufacturers their products to the highest industry standards, fulfilling architects' and designers' project specifications in airports, office buildings, shopping malls, hospitals, schools and many other commercial and residential applications. Their products are designed for easy layout, installation and low maintenance. Founded in 1987, Plasterform is one of the largest custom casting manufacturers in the world, and manufactures the most extensive line of architectural casting products available including architectural column covers. Using computer numeric control routers for pattern making, Plasterform combines artisan quality with modern mold making techniques, giving them the ability to create custom designs unlimited only by imagination, turning visions into reality. Plasterform's state-of-the-art 130,000 square foot manufacturing facility allows them to house every aspect of a project from inception to shipping under one roof, with the goal to achieve the highest standards of quality and customer satisfaction. With many manufacturer's to choose from, the most important thing to consider is who will you be working with? The role of manufacturer's representative is crucial in being the liaison between the customer and the architectural column cover manufacturer. Are they knowledgeable, responsive, and dedicated to your project? 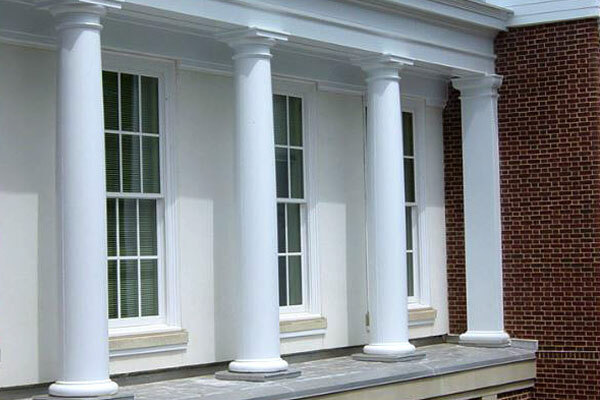 To get started on a project or learn more about architectural column covers, give us a call at 724-745-3001, or CLICK HERE to send us a message.